Leading Manufacturer of sugar industries agitator from Pune. 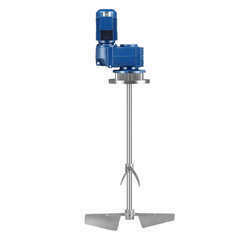 We manufacture Sugar Industries Agitator. Pans with mechanical circulation give a marked improvement in the boiling and improve the quality of the product. They permit a valuable gain in the purity of molasses and render possible work with tighter massecuites. They are thus strongly recommended, particularly with C massecuites. It may even be justifiable for a new factory to equip all pans with mechanical circulators. Looking for Sugar Industries Agitator ?